Anyone going to the Morgan Grand National? Cool what will you be showing in? GOOD JOB AND GOOD LUCK!!! The assnt. trainer at my barn is going; just to watch though. if i go i'll be doing western pl and eq 15 +16 yr olds ( i think that is the class i would fall into for age ) ? and hunter eq and pl. same age. 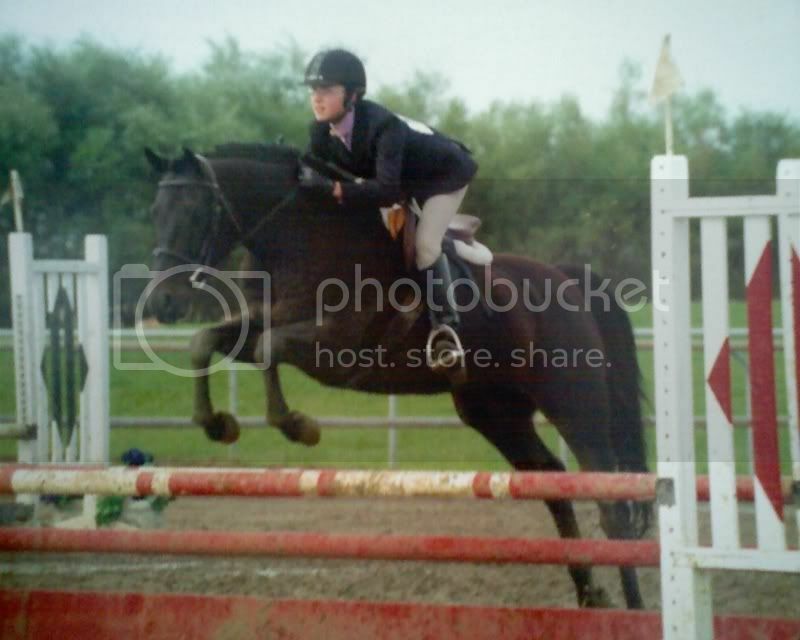 and some hunter over fences stuff. what about you ?? edited by admin: Amy. Those images were copyright protected images. Feel free to provide links to the pictures though. Amie your Morgan is ADORABLE! Who do you train with, he looks very familiar! Thanks I train him myself His name is DVF Heart Lite and I show him on the east coast. Who do you train with? Do you have any pictures of your morgan? Thank you I am a very proud "mom" and can't wait to go to Nationals with him! Thats probably why the horse looks familiar! I love Mike and Dwayne, they are amazing trainers and their horses are so typey and correct! Julie's great, but she's more focused on the H/J's at this point, and I'm hooked on the Morgans, so I'm always looking for opportunities to learn more about the Morgan world. I would love to work with Broadmoor as an intern for a summer or something like that, they're amazing! I'm sure if you called Dwayne & Mike or talked to them at Grand Nationals they would let you know when they have an open spot for grooms and such. I learned alot with them the month I stayed at Broadmoor (years ago). They are a fun bunch and their horses and knowledge are amazing! I think we are going we are talking about it anyway. My daughter will be showing Classic Pleasure Junior 14-15, Classic Pleasure Equitation 14-17, and fittings and showmanship 14-17. It will be nice to watch DVF Heartlite in western. AMIE9191 remember we ride with Dawnville Farms, Headlites breeder. YES! I remember! It would be great to meet you! No, Karen isn't bringing any of their own horses. There is just my daughter and another lady that is going to compete. She is bringing down horses for other people though. The strangest thing happen yesterday. 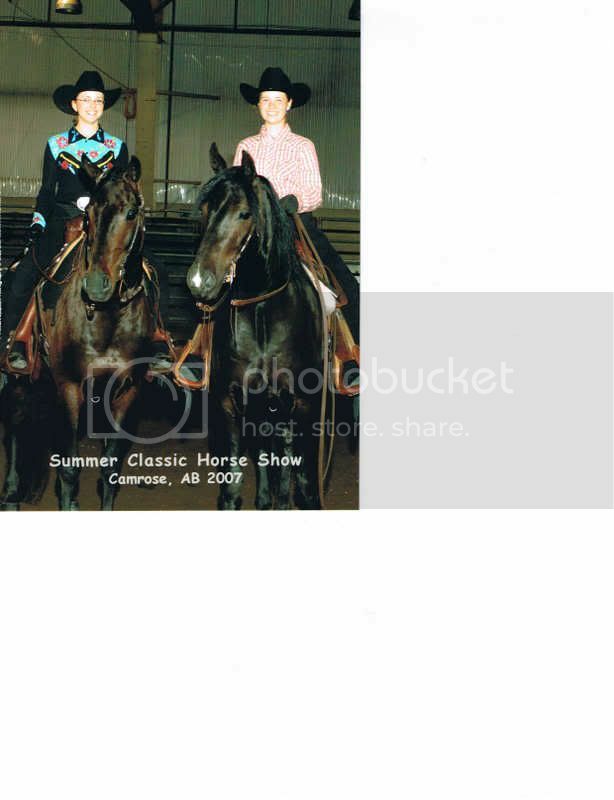 My daughter had competed at the Grand Nationals in 2005 in jr. hunt seat and hunt seat equitation. She placed sixth in hunt seat and 7 in hunt seat eq. Well she got a letter yesterday that said one of the horse and rider combos had been disqualified so now she placed 5th and 6th instead of 6th and 7th. They want her to return her ribbons and they will send her the 5th and 6th placing ribbons. Good grief it is amost 2 years later. There is only one rider/horse combo that was the same in both classes and that was first place. Since I think they only test 1st and 2nd place for illegal substances it must be them. The only other same combo was in 4th place in both classes. Haha I was 5th in that class and got the same letter...It's very odd how late it is in happening...Who was it that was in 2nd? I wouldn't post any names here but I do find that interesting! Okay from what we could find out it was just a matter of unpaid fees. Not sure if it was from a regional show or National. There was no drugs involved which makes sense. The way we figured it out was the same horse/rider combo had to be in both classes and place above my daughter. There were only two combos in both classes. The only people involved with the ribbons would be the ones below the disqualified one. Amie, Shirley, DVF In a Moment, is a very pretty horse. I have been watching her train and she is so level headed. Never seems to get in a snit about anything. She definately has her sire's temperment. I could get some pictures of her if you want and email them to you. Oh by the way do you know any nice hotels in OKC. The last time we went we stayed at this place and lets just say I am not staying there this year. I know you LOL. You should come and bring the other girl with you, I won't say her name. That's Smokey she is on isn't it. Was that after the trail class? I think we are putting our entry forms in this weekend. I'v stayed at the Biltmore in OK and I wasn't impressed....for the money and the amount of time you are there I found that having a mini-frig in the room is a must (OJ, sodas, some snacks) I actually ended up moving to the Days Inn and for the money the rooms were just as nice as the Biltmore. I don't really know DVF Katarina, I'll have to ask Karen which one she is. She may be at the other farm. I am going to be on holidays for the next two weeks so I won't be getting them too you until I get back to work. I have dialup and home and it is so painfully slow that I don't even use the computer there. I will see if I can get some video also. Jayda, go to the Nationals. I know Liselle would like to know someone else there. If you go to the battle of the breeds are you part of the team or demo horse.